Show what you want the world to see. Ok, so you have finally decided it is time to move on and deal with that tramp stamp you got in Cabo? 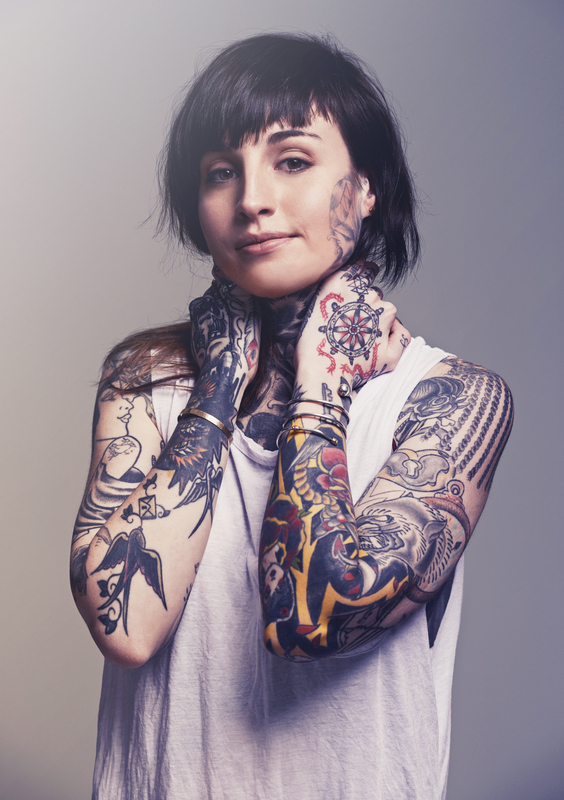 With our Astanza Trinity laser system we can help remove all tattoo colors on all skin types, and we can keep you distracted by comparing bad tattoo stories while we zap. Pain-free laser hair removal is no longer a thing that resides with unicorns in the mythical land of fairy tales. It was hard for us to believe too, but alas it is true! With Maine's only Astanza ReSmooth laser, Evolution Laser Studio is making pain-free a reality in the Northeast. Technology is important, but a laser in the hands of the wrong person can be problematic as is well illustrated in pretty much every Star Wars movie ever. We made the investment in the technology, but we also made the investment in the people wielding it. Yeah, it sounds arrogant, but is it really when in the end it comes down to electrons and photons? Evolution Laser Studio only invests in the best laser technologies and offers treatments at reasonable prices. Merging backgrounds in laser physics with years of aesthetics medicine expertise, clients can rest assured they are experiencing the best technology out there in the hands of someone who can use it safely and to its full potential. At Evolution Laser Studio we believe the foundation of great results is selecting the best technology, and will not settle for providing anything less. We invest in the technologies that give clients the best possible treatment rather than cutting corners with equipment exclusively for improvement of financial performance. Looking at the competitive landscape in the Greater Portland Area and beyond, it is surprising to find many practices are using either antiquated or second-tier equipment yet still charging a premium for service. Our lasers are better than theirs, it’s science. 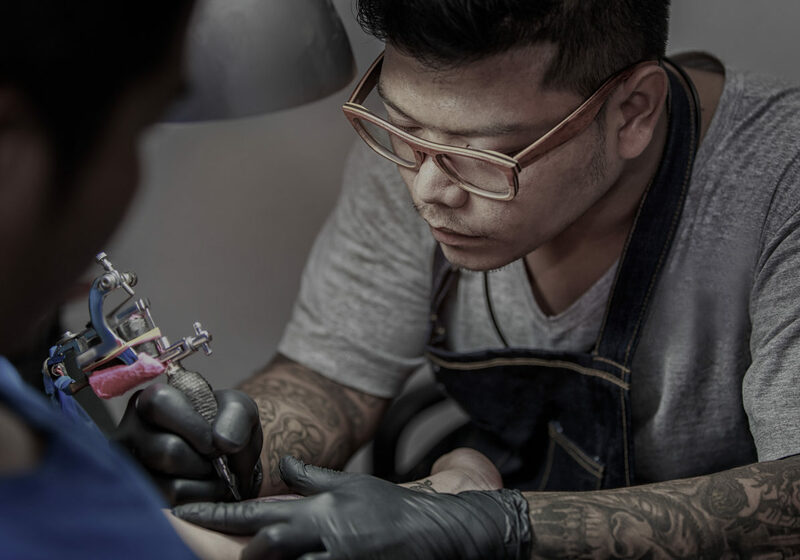 Although now home of the best hair removal and tattoo removal lasers on the market today, it all started with a bad decision or “two” and a tattoo that would have been better left in the ink bottle. We love tattoos but this one had to go! With the founder’s laser research background at the national labs, it was quickly apparent local options were not up to snuff. At all. A few months and a few lasers later, Evolution Laser Studio was born. We come from backgrounds that measure success in efficiency and results, not by overpriced promises backed with sub-par outcomes, and we brought that with us. This business was formed on the premise of investing in the best technologies rather than investing in the "spa experience" so that our clients can receive top-tier treatment without the overly-inflated price points. We believe that all of us evolve, and constantly struggle to create better versions of ourselves. Whether it’s deciding that double-gun lower back tattoo has seen its day, or that it would just be nicer to hit the beach without a full-on grooming session, people change. Our logo, the "Ouroboros" is an ancient symbol that depicts a dragon eating its own tail, symbolizing the constant cycle of life and death and something recreating itself. Seems fitting, and let's be honest, it looks cool. We also believe the industry built to address these issues must evolve, in that the best care should not be something reserved for only those with the deepest of pockets. Our goal is to provide access to the best technologies at a reasonable cost. Technology is important, but a laser in the hands of the wrong person can be problematic as is well illustrated in pretty much every Star Wars movie ever. We made the investment in the technology, but we also made the investment in the people wielding it. You will never be touched by a laser that isn't operated by someone fully licensed to use that piece of equipment and perform the procedure you are here for. Our laser specialists are highly skilled and professional but in this land of aesthetics 2.0 you’ll never see them with their noses in the air. We are first and foremost about safety and efficiency but that doesn't mean we aren't human. Our team is highly personable and is happy to work with you to get you the results you want. Hell, you might even get a laugh or two. Give your artist more flexibility with his work by a little lightening, and you will both thank you for it later. Start your path toward showing what you want the world to see.